America the Beautiful: The Monumental Landscape A musical journey through the United States featuring the soothing music of Sammy Tedder. 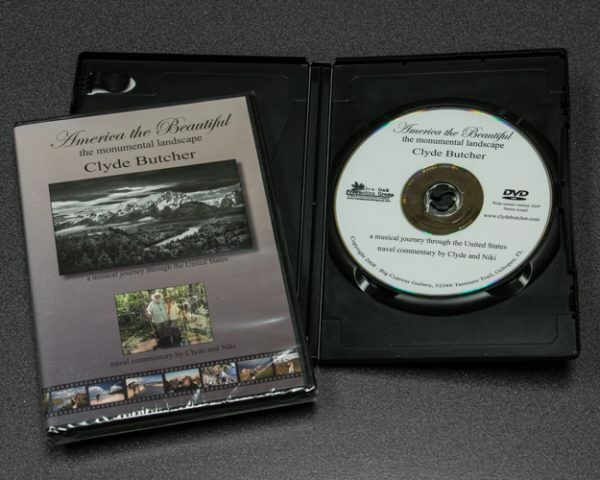 The images found in this DVD are part of Clyde Butcher’s exhibit from the Muscarelle Museum of Art in Williamsburg, Virginia. The exhibit created the opportunity to return to many of the places Clyde was familiar with when he was young and to photograph them anew, as well as visit places he had never seen. The two years of photography resulted in a collection of dynamic images reflecting the spirit of America. 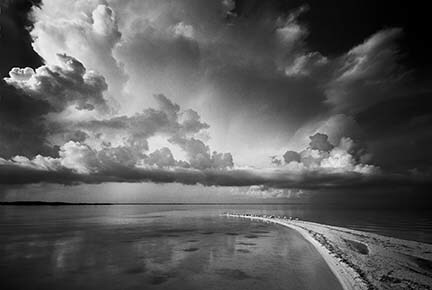 SELECTION ONE: Relax to the tranquil photographic images of Clyde Butcher combined with the soothing music of Sammy Tedder, 12 minutes. SELECTION TWO: Travel commentary by Clyde and Niki Butcher, 45 minutes. 57 minutes in length; two-part DVD; Produced by Elam Stoltzfus All gift & book orders over $50 receive FREE shipping!